Synopsis: Based on the DC Comics “Green Arrow” superhero comic book series, Arrow has been reinvented for a modern day audience. Starling City has been torn apart by the Undertaking, so the need for the hooded vigilante — now known as The Arrow — is more urgent than ever. 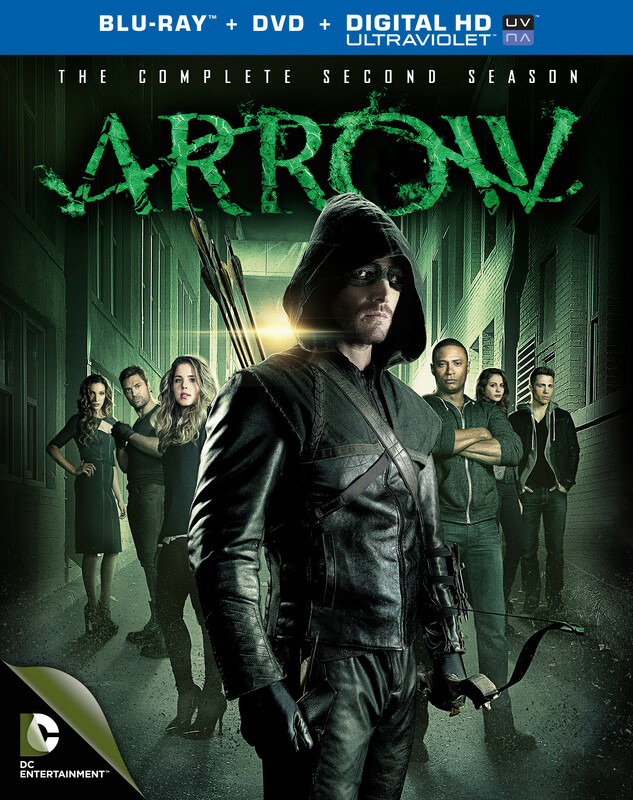 After retreating to the island on which he was once stranded, Oliver Queen (Amell) returns to protect his mother, sister and besieged company but comes to realize that allies and enemies have switched sides, and the stranglehold of evil on family, friends and city is diabolically linked to his fateful shipwreck. A once-tight comrade-at-arms and a strength-enhancing, yet mind-warping serum may prove to be the mightiest adversaries The Arrow has ever encountered. Can justice find its target in this 23-episode season? Or will all fall before the fury of Deathstroke?